First up is the most natural bronzer/contour of the lot, this huge bronzer is completely matte making it perfect to use on your cheekbones. It is also very sheer which gives you chance to build it up to a high intensity and it is also great to take with you for touch ups due to being light weight but I would love it even more if it had a mirror. The one thing that annoys me is that the bronzer is very very fine and when you put your brush in it, it goes everywhere - is that normal? Maybe, but I have never experienced something like it. 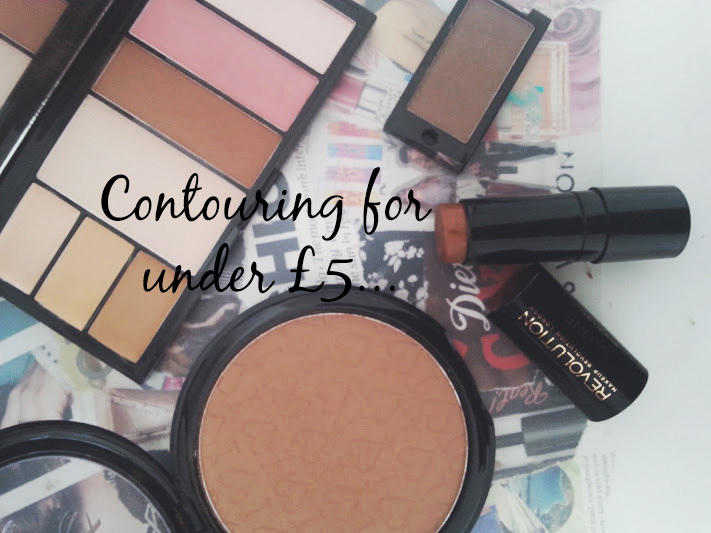 Next up is the contour kit from MR a dupe for the much raved about one from Sleek, I don't actually own the contour kit which comes under £5 but the bronzer, blush and highlighter comes as part of the protection palette that also includes concealer and a powder. This whole palette is the perfect thing to keep in your handbag and carry around with you because you have everything in it to look a little bit normal again. 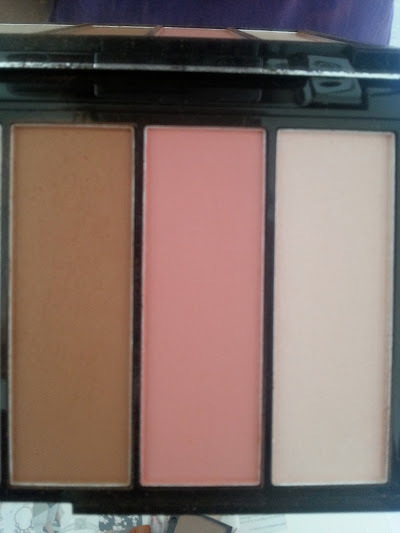 The shades range from light to dark and in each one the trio to contour matches your skin tone. This is well worth the investment! The cheapest one out of this entire lot and probably something that I would have never even thought of, a eye-shadow that you can use for contour and let me tell you it works amazingly well. 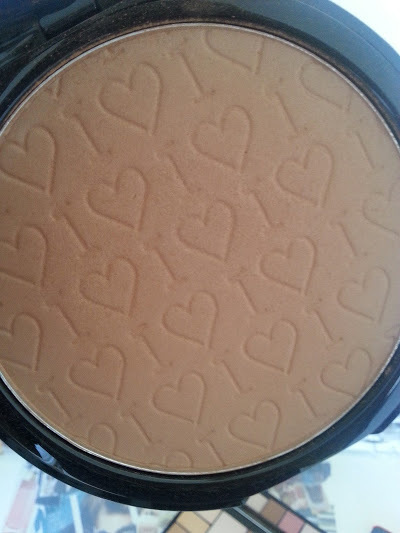 It looks like a brown shadow but it is very grey toned and that actually makes it perfect to use, especially if you are like me and have darker skin then finding a contour product can be really hard but this is amazing and I can't even explain it!! If you want to see it in action then see the picture below and you will see the difference it makes, might I also add that this is the easiest way to contour that I have found. 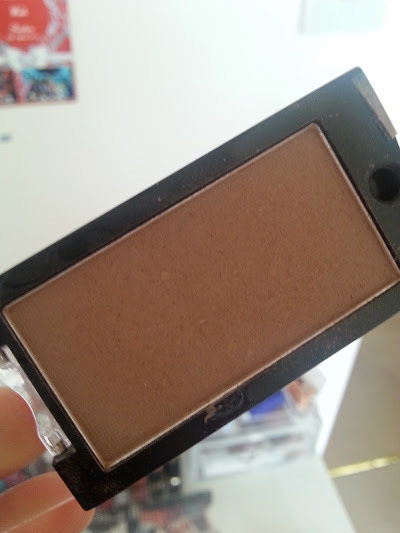 This out of all of them is the more daring product and to tell you the truth I get really scared every time I use it because of it being so dark as yo can see in the swatch below. But then when it is on your skin and you really blend it out (clean brush works best) it doesn't look half bad. I have the normal version but there is also a matte version on the market and I may just by that next time around because it won't leave a sheen on my cheeks once it sets. 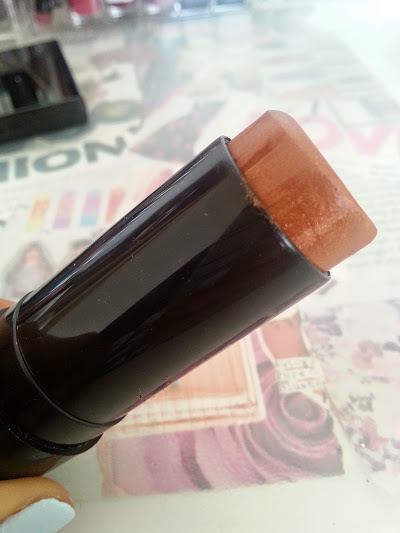 I highly recommend this stick to get that Kim K look but you might need some bronzer to tone it down. 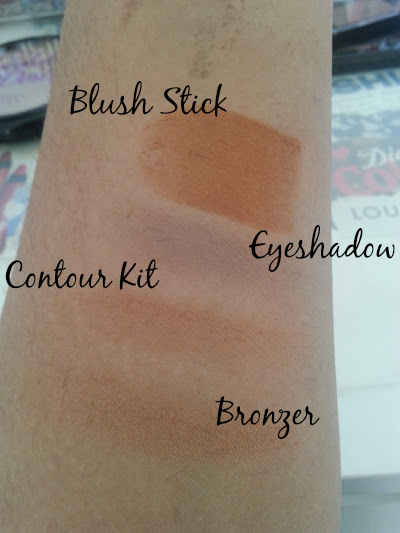 In the above picture I have a blend of the contour stick that I applied with a fluffy eye-shadow brush and really blended it in, then to define it a little bit more I applied the mocha love eye-shadow with the same brush and then to get a nice bronze glow I used the chocolate bronzer. I found that using these three together worked amazingly well and lasted all day as well, this isn't something that I would do every day more on a night out or day away. For every day the bronzers in both the protection palette and the chocolate one is amazing and not too much that you look full of makeup. Overall all these products from MR have really changed my makeup routine, I can't imagine life now without them and they are much easier to use than they look - I guess you just have to be daring.